Rev. Foord-Kelcey in the vicarage doorway at the turn of the century. 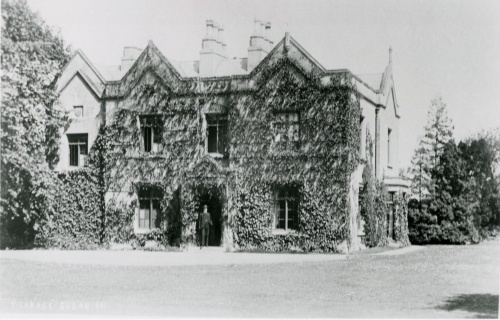 Until the church rooms were built in 1908, the vicarage was used for Sunday School classes, in the dining room in winter, on the lawn in summer. It is now part of Rawlins College.